Experience the trembling of a 5.3 earthquake, be blown away by 71mph hurricane force winds, maneuver the controls of a NASA spacecraft to land the shuttle, explore space in the Mission to Mars, feel the sensation of 3,500 nails elevating you on the Bed of Nails, fly a fighter jet, make a 3-D impression of your entire body on the WonderWall, and design and ride your own rollercoaster. The XD Theater 4D Extreme Motion Ride will take guests on a 3D journey, immersing them into the movie with full motion seats and special effects. Visitors will climb 3 stories of ropes (36 feet tall) as they encounter over 20 different obstacles along the course that will challenge their endurance. 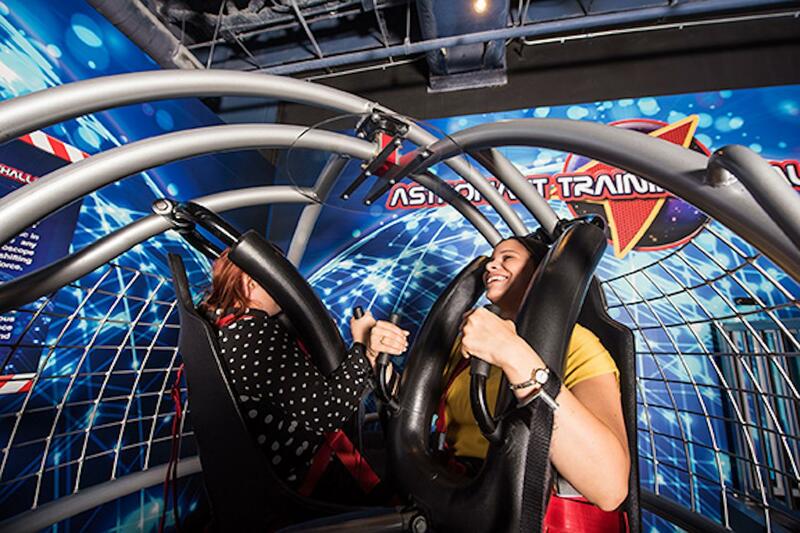 Experience the Inversion Tunnel and defy gravity!!! 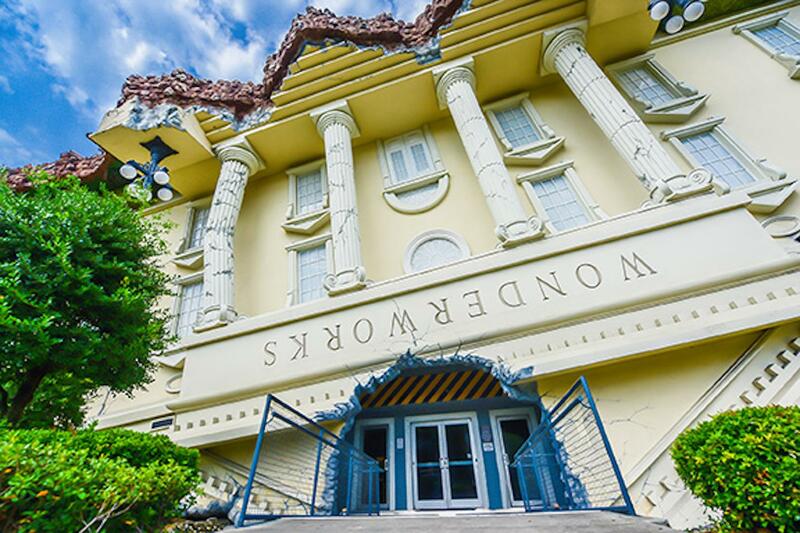 As you approach WonderWorks, it is obvious that the building landed upside-down. 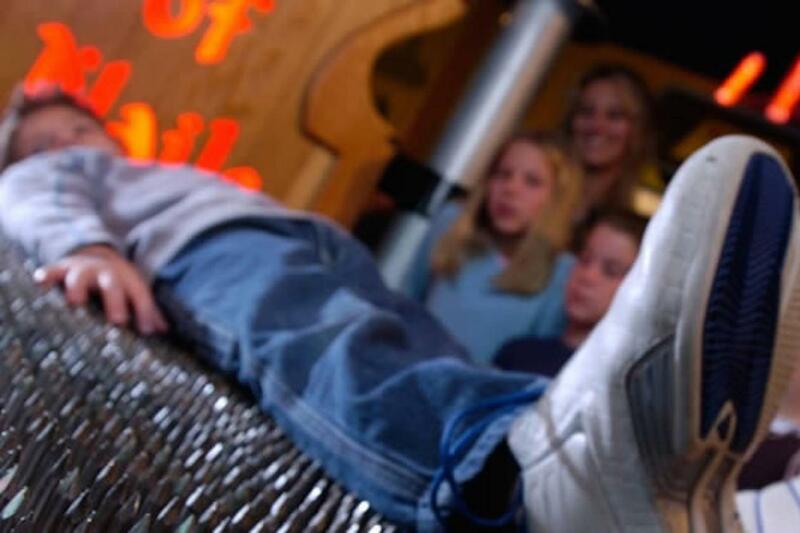 Professor Wonder and his staff of brilliant scientists invented the Inversion Tunnel to realign and invert your orientation so that you can defy gravity and play with all the exhibits and experiments. The Disaster Zone is based on one of history’s most renowned events, the 1989 San Francisco earthquake that stopped baseball’s World Series and collapsed a freeway. It is recreated in the laboratory. Guests will feel for themselves what an earthquake that measures 5.3 on the Richter scale actually feels like. Then enter the Hurricane Hole and be blown away by 71mph winds. Sit back and let your mind travel to another place in the Light and Sound Zone, where you will experience 3D sound. Then, move on to strike a pose and leave your shadow behind. Play virtual air hockey and dance to the colors of light in Recollections and stomp, kick, and use your feet to play in the Foot Motion Dome. 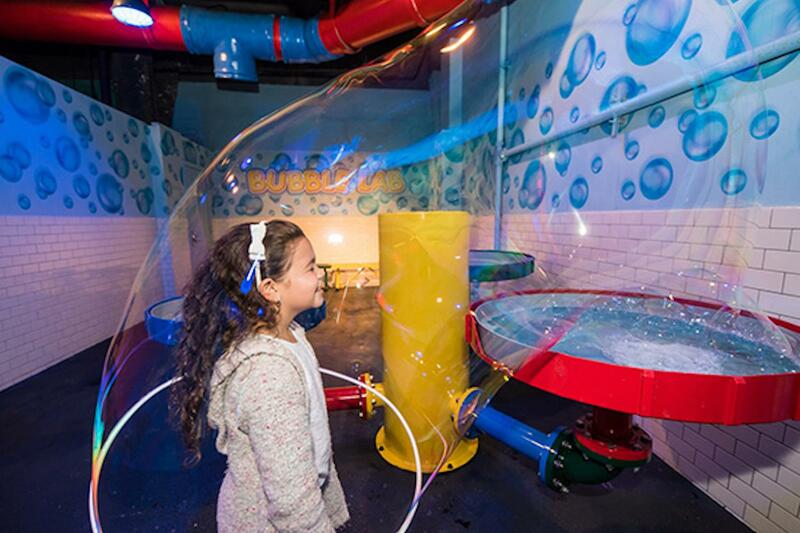 Kids of all ages (1-101) will love the Bubble Lab! 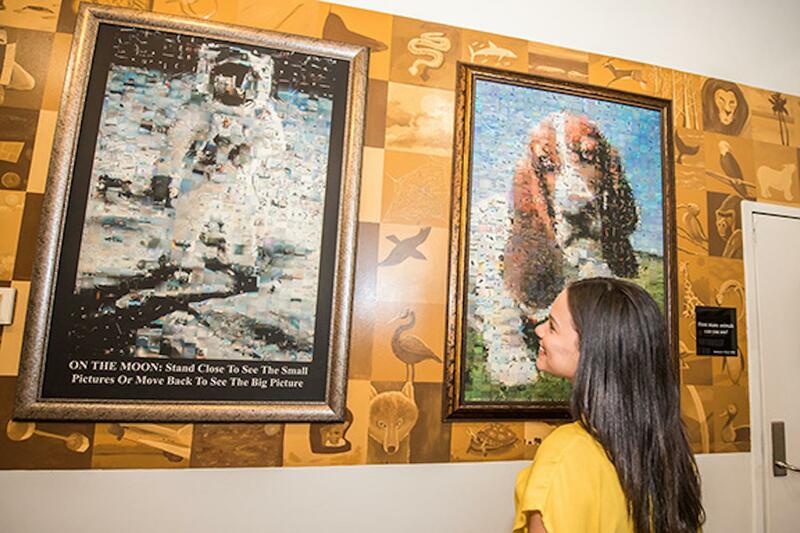 This exhibit is just for the fun of it! Put yourself inside a gigantic bubble that you created! Bubbles do not have their own color; they reflect and refract the light around the bubble. The colors you see on a bubble actually show the thickness (or thinness) of the bubble wall. 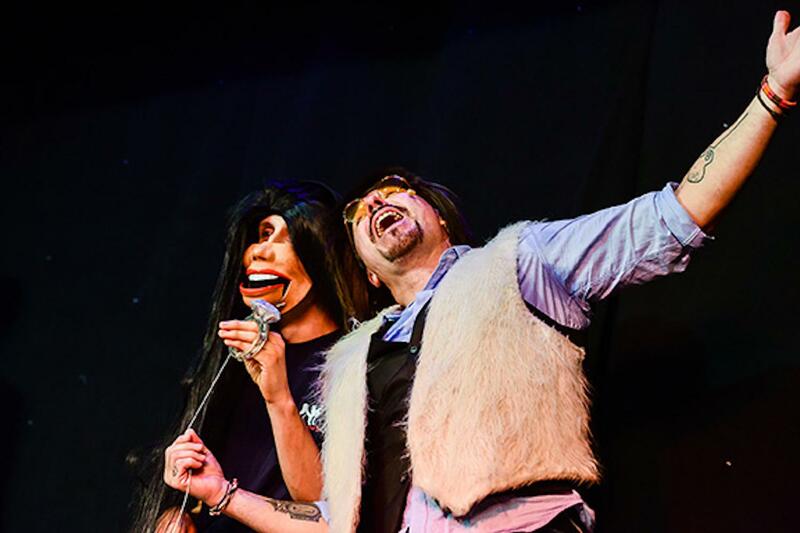 Expect to be impressed during The Outta Control Comedy Magic Dinner Show. Entertaining audiences for over fifteen years, Tony Brent combines a mixture of amazing magic, impersonations and high-energy improvisational comedy to thoroughly entertain audiences of all ages. Minds will be read, predictions will come true, and audience members’ personal items will vanish and re-appear. 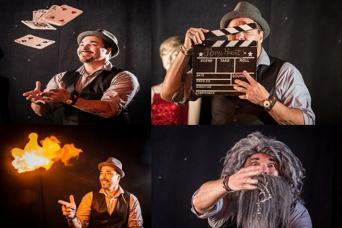 The Outta Control Dinner Show provides a one-of-a-kind entertainment experience with non-stop audience participation. The crowds don’t just watch the show, they become part of it. 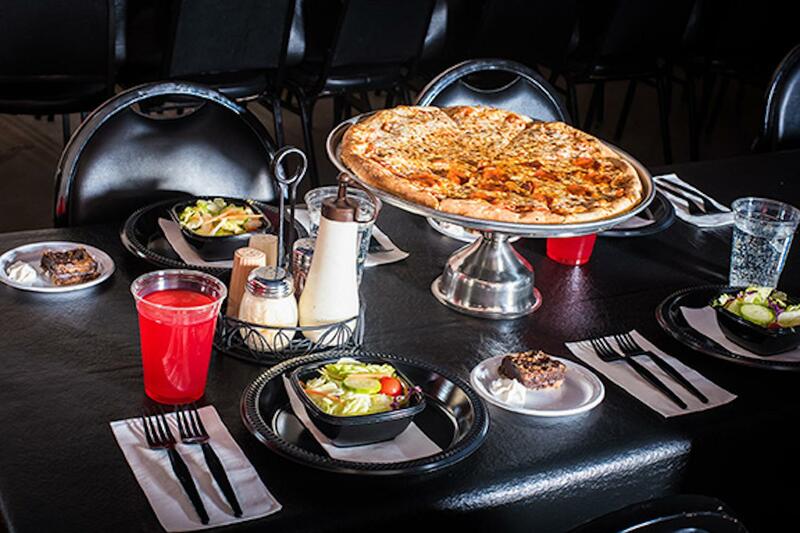 Visitors to the show receive table-side service with unlimited fresh hand-tossed cheese and pepperoni pizza, salad, popcorn and unlimited beer, wine, soda and dessert. The 90-minute experience will keep you on the edge of your seat and tickle your funny bone every 8 seconds. Shows are presented nightly at 6pm and 8pm. This show has won many awards locally, including Best Dinner Show and an Orlando Best Bet Award. The Ultimate Combo also includes an exciting game of Lazer-Tag! Take part in the fun as you compete against your opponents inside a huge blacklit maze. 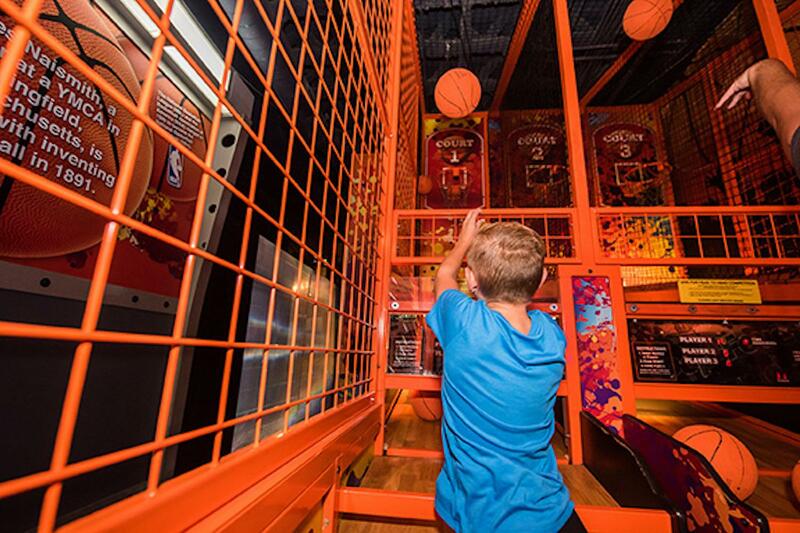 Lazer Tag combines innovative technology and fast-paced excitement to provide players with a one-of-a-kind experience featuring more than 10,000 square feet of action and arcade fun in the WonderWorks basement. The object is to outplay, outlast and outshoot the other players.